By submitting an order on this website you are deemed to have read, understand and agreed to the terms and conditions stated below. c. all orders made by telephone for all Products,to the exclusion of all other terms and conditions (including any terms or conditions which you may purport to apply by any means). 2. By submitting an order to us, you are deemed to have read, understood and agreed to these terms and conditions. a. ‘you’ or ‘your’ refers to the customer who purchases products using this website. b. ‘we’ or ‘our’ or ‘us’ refers to www.bonfisken.com. c. ‘Products’ or ‘Product’ refer to any and all products for sale by www.bonfisken.com, subject to availability. d. ‘working day’ means any day other than a Saturday, Sunday or a public holiday. 2. 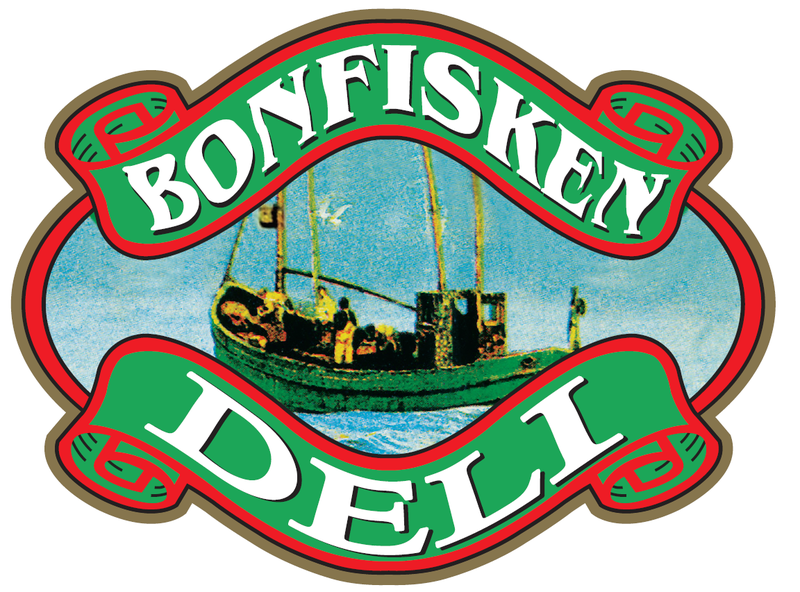 To place orders online with www.bonfisken.com, you must first register yourself according to the requirements set out in this website. You must be a Malaysian resident and be at least 18 years of age. You shall ensure that all information provided during registration or any other time are correct and complete. Any changes to your registration information must be updated by informing us or via this website. 3. We reserve the right to refuse the registration of and/or sale of products to any potential customer and to terminate the registration of any customer at our absolute discretion for any reason whatsoever without notice. 4. You agree to be liable for all orders made using your registration/login details. You should therefore ensure that your registration/login details are kept securely to prevent unauthorized use. We will use our reasonable endeavours to ensure the security of all online transactions using this website but shall not be liable for any damages or losses whatsoever should a third party gain unauthorized access to this website. 5. While every care is taken to ensure that product illustration and information in this website are as accurate as possible, photographs and images that are shown are only representative of actual products and variation may apply from time to time. We do not warrant the accuracy or completeness of information provided on this website, which information is subject to change without notice. 6. These terms and conditions are subject to change (including, without limitation, modification, deletion or replacement thereof) at our sole discretion without notice. We may (but do not undertake) to notify you of such change(s). It shall be your responsibility to review the terms and conditions governing the use of this website and sale of Products before submitting any order. 1. In respect of online orders, we must receive payment of the whole of the price for the Products that you order before your order can be processed. Acceptance of your order and the creation of a legally binding contract between us will only occur when we send you an email confirming our acceptance of your order at the email address provided by you. 2. In respect of telephone orders, the creation of a legally binding contract between us occurs upon our over-the-phone acceptance of your order. Payment of the price must be made in full either at the time of order (by credit card or GIRO) or on delivery by cash. 3. As not all Product sizes will agree exactly with the description offered on this website, we reserve the right to provide the best available size of the Product corresponding to the price quoted or the nearest size at the nearest price. We will take all reasonable care to ensure that the price, quantities and sizes of the Products shown on this website are accurate. However, we reserve the right to correct any inaccuracies in the price and other details of the Products without notice, and you will be bound by any adjustment to the price or description of the Products notwithstanding our acceptance of your order. 4. In respect of online orders which have been accepted, variances between the online bill and the final bill may arise due to, without limitation, out-of-stock Products, substitutions, special offers, daily price changes, weighed items, mislabelling and/or erroneous pricing. In such event, we reserve the right to adjust the final bill notwithstanding that the online bill has already been presented or sent to you, and you shall be bound by any such adjustment which will be marked on the final bill presented to you upon delivery. 5. We may (but do not undertake to) inform you of any changes or adjustments in the pricing or description of any Product before it is due for delivery. 6. We reserve the right to limit sales to any customer, including the right to refuse sales such as to resellers. If we cancel your order, we will notify you by email and refund to you any sum paid by you to us in respect of such order as soon as possible. We will not be obliged to offer any additional compensation for disappointment or inconvenience suffered. We shall also not be liable for any loss or damage whatsoever (including indirect or consequential loss) arising from such refusal/cancellation of your order/contract. 8. For orders of less than RM200 per delivery, there will be a delivery fee of RM50. Orders for a value of RM200 or more will be delivered free of delivery charge. Additional delivery charge may apply for special circumstances and arrangement such as special timing or location. 9. Orders cancellation or variation by you will only be entertained if made to the telephone number provided on this website (during these hours: 9.00am-5.00pm Mon-Fri and 9.00am-12.00pm Sat), or as otherwise provided on this website, not later than 1 working day prior to the delivery date. For the avoidance of doubt, any such request by you to cancel or vary your order is subject to our agreement at our sole discretion. Refunds (if any) will be made as soon as possible. 1. We will deliver the Products ordered by you to the address provided by you in your registration information or during your telephone order (as the case may be). We will deliver to all addresses within Klang Valley. However, we reserve the right to restrict deliveries to certain areas. 2. While we will make every reasonable effort to ensure that Products ordered by you will be delivered on time, we shall not be liable for late or cancelled delivery due to unforeseen circumstances. We shall not be liable for any damages or losses arising from such late or cancelled delivery, save that in the latter case we will refund the price paid by you. 4. All deliveries shall be acknowledged and signed off by you and the time of delivery noted on our copy of the sales invoice. It is your responsibility to ensure that an appropriate person is present to sign for products to be delivered. If no one is at home and there is a missed delivery, we will leave notification of delivery and will contact you as soon as we can to reschedule another delivery time and date. We reserve the right to charge you a re-delivery fee of RM50. 5. You will become the owner of the Products you have ordered when they have been delivered to you. Once Products have been delivered to you, they will be held at your own risk and we will not be liable for their loss, damage or destruction. 6. It is in your own interest to take delivery of the Products ordered without delay. We shall not be responsible for any deterioration in the quality of the Products due to missed delivery. You should also, for your own interest, comply fully with the safety handling instructions and/or directions for use and storage that may be found on the packaging of the delivered Products. o For Products which are established to be damaged or defective at the time of delivery – to replace the Products in question or refund you (in part or in whole) the amount paid by you for the Products in accordance with such rights you may have as a consumer under applicable local law or other statutory rights that may not be excluded in law. 1. The acceptable mode of payment for Products ordered online is through online payment via E-GHL or visa, mastercard or amex. 2. The acceptable modes of payment for Products ordered via telephone are by credit card (visa, mastercard or amex), GIRO and cash. 3. Refunds, if any, will be credited via the same mode of payment used for the order. 1. By accessing and using this website, you agree and accept that the use of the service and the internet is entirely at your own risk. We will not be liable for any loss or damage of any kind, direct, indirect, incidental, consequential or punitive, or for loss or misuse of data, or loss of income or profit arising out of or in connection with the use of, or the inability to use this website. 2. The website and its contents are provided on an “as is’, “as available” basis. To the fullest extent permitted by law, we disclaim all representations and warranties (whether express or implied and whether imposed or implied by statute, at common law or otherwise) relating to this website and its contents, including but not limited to warranties as to the availability, accuracy or content of information, Products or services, and warranties of title, non-infringement, merchantability or fitness for a particular purpose. We do not warrant that the functions provided by or associated with this website will be uninterrupted or error free, or that this website or the server that makes it available is free from viruses or other harmful components. 3. We give no representation or undertaking and shall be bound by no condition, warranty or other obligation (whether express or implied and whether imposed or implied by statute, at common law or otherwise) concerning the condition, quality, physical state or attributes, location, origin, fitness or suitability for any purpose, or conformity with description or sample, of the Products, and in this connection all liability on our part is excluded. 4. We do not adopt any representation, warranty, advice or informationgiven by any manufacturer or merchant or otherwise with or relating to the Products, and we assume no obligation or liability for such representation, warranty, advice or information or for any inaccuracy or misstatement of the same. 5. Nothing stated by any salesperson, agent, employee or other representative on our behalf should be understood as a variation of the contract between us and/or these terms and conditions, or as an authorised representation or warranty about the nature or quality or such other matters relating to the Products, and we shall not in any way be bound by any such unauthorised representation/warranty. 6. We shall not be liable to you for any indirect, consequential or special damage or loss whatsoever and howsoever arising from any defect in or non-compliance of the Product(s) or any other breach of our obligations herein. To the extent that we are liable in contract, tort or otherwise for any loss, damage, costs or expenses arising directly or indirectly from any defect in or non-compliance of the Product(s) or any other breach of our obligations herein, such liability shall not in any event exceed an amount equivalent to the price of the Product(s) concerned. 7. Nothing in these terms and conditions is intended to affect or limit your statutory rights as a consumer (where you deal as a consumer as defined in the Unfair Contract Terms Act where such statutory rights cannot be excluded or restricted. Further, nothing in these terms and conditions excludes or restricts our liability for fraud, or for death or personal injury caused by our negligence in the course of our business. 1. We shall not owe or incur any liability under or in connection with, or be deemed to be in breach of, the contract between us, and shall not be liable to you, by reason of any delay on our part in performing, or by reason of any other failure on our part to perform, any of the obligations stated in the contract between us as obligations undertaken by us, where the delay or failure is attributable to any cause beyond our reasonable control. g. power failure or breakdown in equipment or machinery. 1. All copyright, trademarks and other intellectual property rights in all contents, materials, concepts and graphics supplied as part of this website shall remain at all times our property or the property of our suppliers or other third party content providers, as the case may be. You are not permitted to use or reproduce any of these materials in any way without our and/or the relevant third party proprietor(s)’ prior written approval. 1. You may contact our customer service department for any feedback or complaint via the email service provided on this website. We take all feedback and complaints seriously and will respond immediately once the investigation is completed. You can also contact our customer service team via the telephone number (operating hours Mon-Fri 9.00am-5.00pm, Sat 9.00am-12.00pm) provided on this website or as otherwise provided on this website. 1. The validity, construction and performance of the contract between us and these terms and conditions and of all other rights and liabilities arising in connection therewith shall be governed by Malaysian law and shall be subject to the exclusive jurisdiction of the Malaysian courts, to which both you and we submit. Copyright © 2019 Bonfisken Seafood Market.